Made a visit to Shawn Cutler Bangsar a few days back after I did a hair show at Sunway Resort. My hair was so badly damaged, I'll show you in a bit. I was told to get my hair done at their newly opened branch in Telawi Square located opposite Bangsar Village II. Loving the comfy and chiq interior. Very cosy! 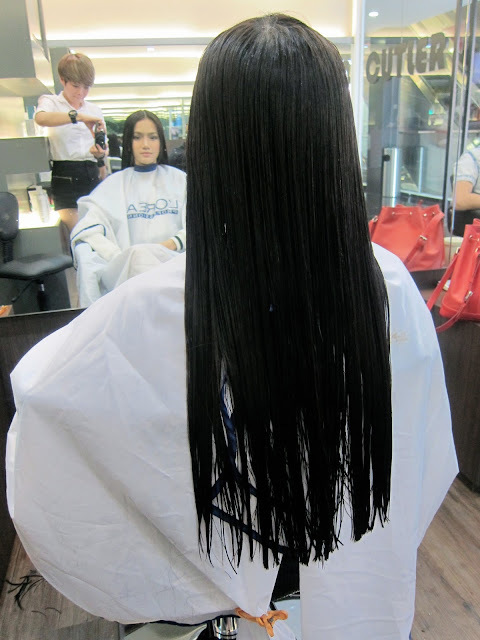 I was seated and my stylist went straight to inspecting my damaged hair. SEE HOW BAD IT IS?! I told myself I would never do another hair show but this time the offer was too good to refuse. Hey gotta make some money yo. My mane was pretty much dead. Dried, frizzy, tangled up in bunches. I seriously wanted to cry on the spot as I didn't want my hair chopped off! Thankfully my stylist who is so awesome and a life savior, trimmed off the damaged ends eventhough I had to forgo some of the length but it's not too short and applied some lovely treatmeant to nourish my hair back to its healthy state. Then it was color time! I wanted to go lighter but my stylist thinks I should stick to darker locks. But this time, I had a tinge of red/maroon in it. While waiting we camwhored haha. She's so friendly and funny too. All the staffs at Shawn Cutler were definitely helpful and nice. After a good rinse and blow, tadahhh! My hair is back to its normal state. I am superbly happy with the results as it's smooth and so soft now! Thanks to the wonderful team at Shawn Cutler. There's two outlets in Telawi, Bangsar. The one I went to which is the Telawi 3 outlet or also known as just 'Cutler', is located inside the new corner building opposite Bangsar Village II. The other one, which you see on Jalan Telawi 2 with the signboard Shawn Cutler, that's the usual more known outlet. No difference, just two outlets incase one is too occupied. So call them up for an appointment! arhhh!!! i hair is exactly like your after i perm my hair into curly.. 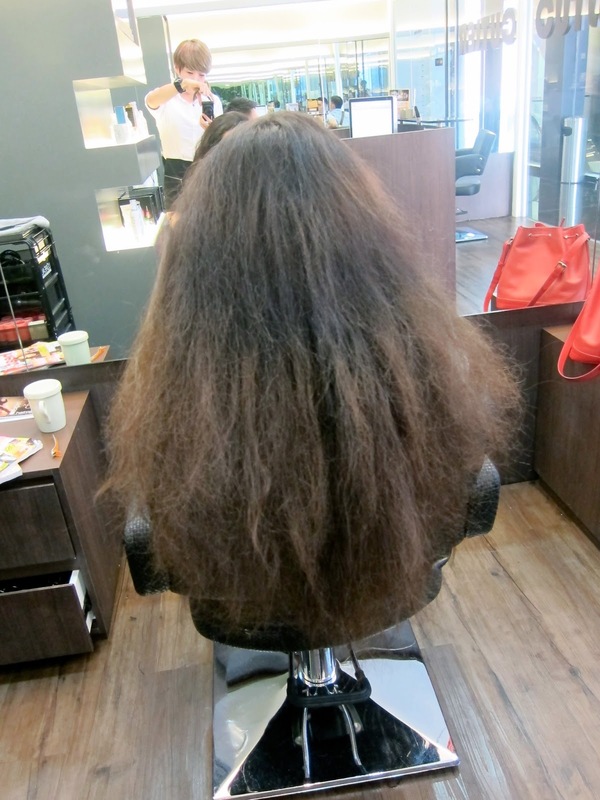 I even went to many salon for help to "rescue" my hair! But failed! Your review just help me a lot!!! weee..
hope you get to save yours!